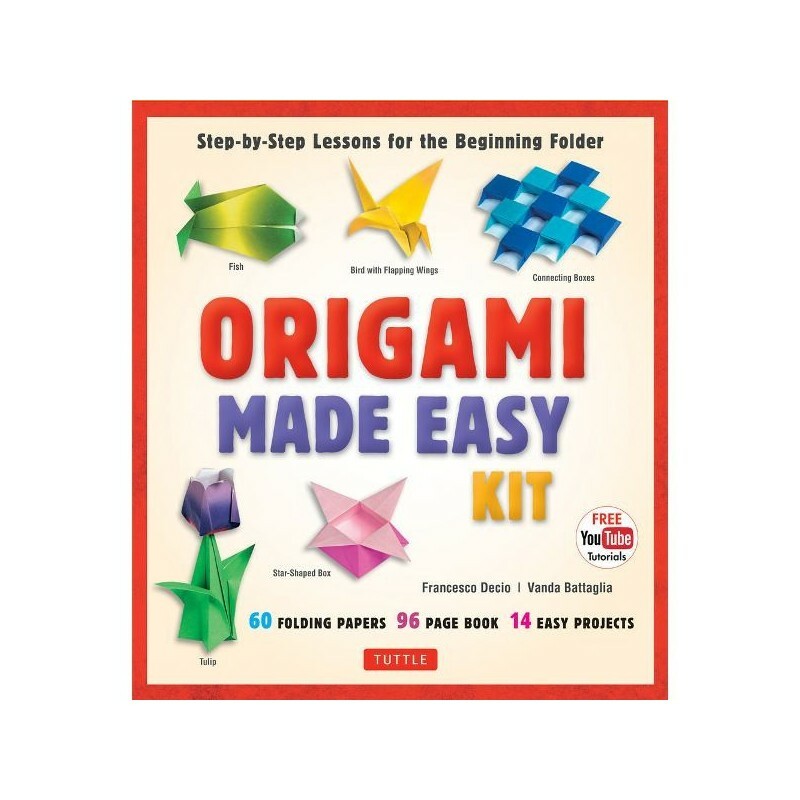 The best origami kit for beginners—make simple and fun paper craft projects—everything you need is included in the box! 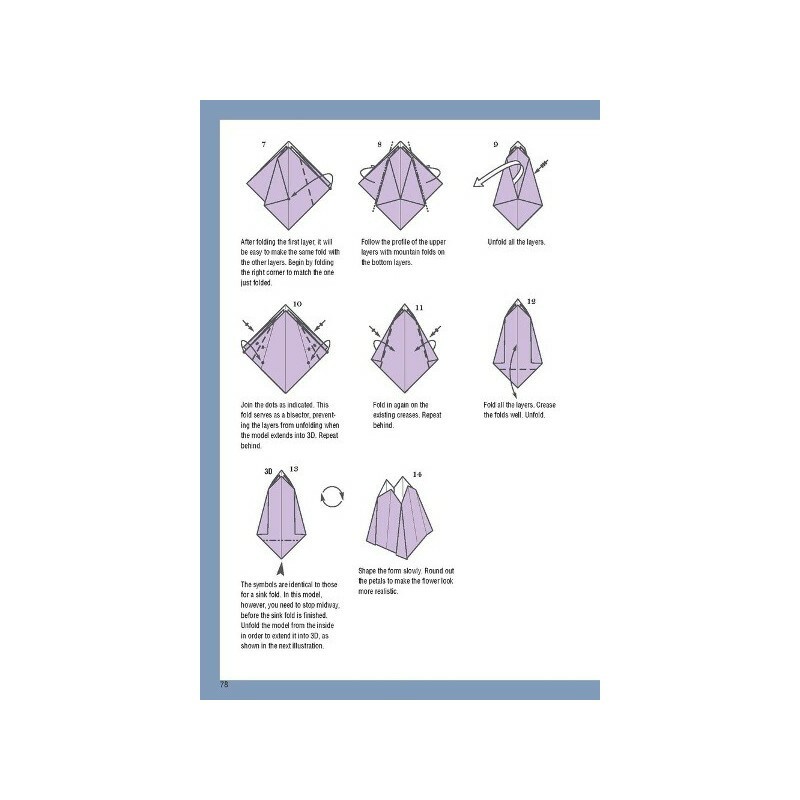 This essential origami guide clearly explains the folding directions and shows you how to read the diagrams and perform the folding actions in a series of simple and easy step-by-step lessons. You'll also learn about different types of origami paper, how to make a perfect square from any sheet of paper (for example a letter-sized or A4 sheet) and how to fold origami "bases" which can be made into any number of other origami shapes—many of which are demonstrated in this book! 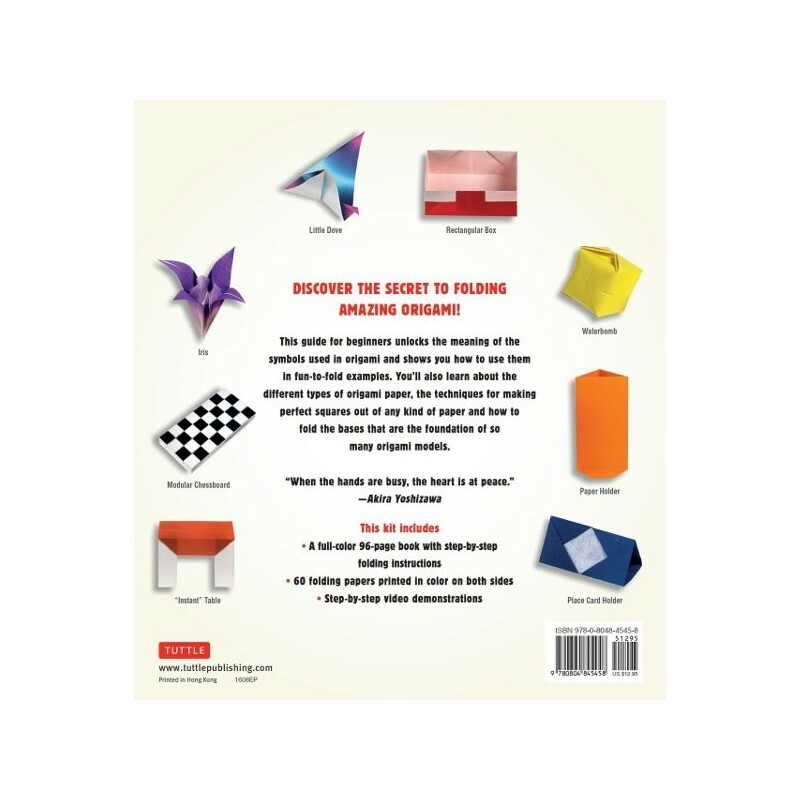 By following the simple instructions in this book (and the accompanying YouTube videos) you'll quickly learn the basic techniques and notation of origami. 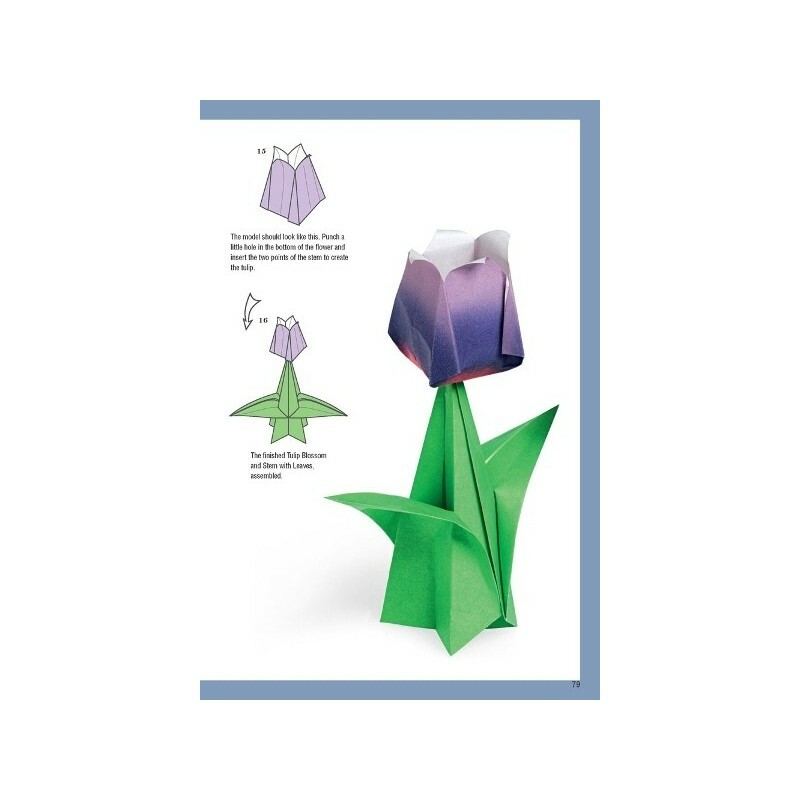 Origami Made Easy Kit opens up a whole world of interesting possibilities in paper folding! Pretty soon you will be amazing your friends and creating interesting new objects just starting with a plain piece of paper and folding it up in a minute or two. Voila! 24cm x 21.5cm x 4cm box. This book is fabulous for learning origami techniques. 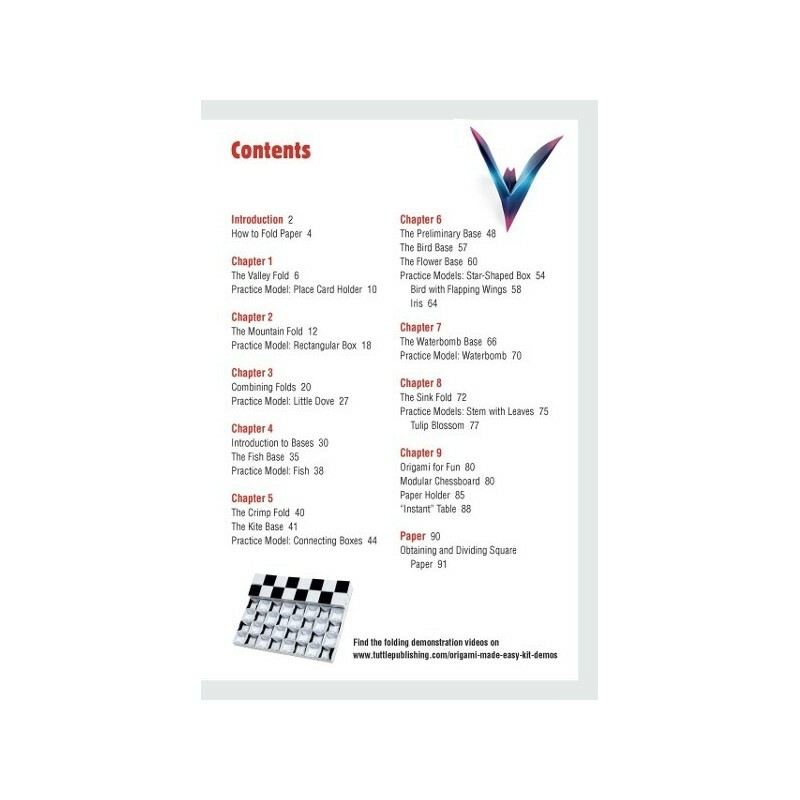 It is really well divided into chapters containing several projects that focus on a specific skill. 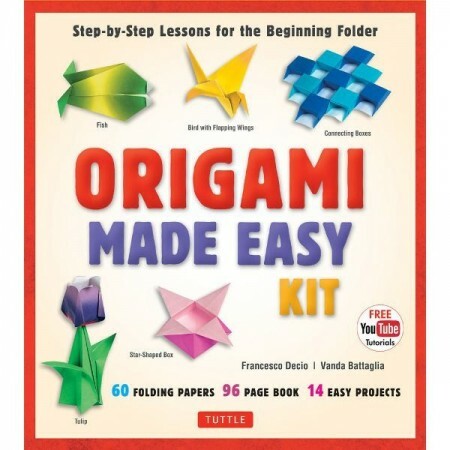 It is a really useful tool if you want to get into more elaborate origami or just have fun learning the skills. The papers are sufficient to use in the exercises but not as special as the ones in some other kits.